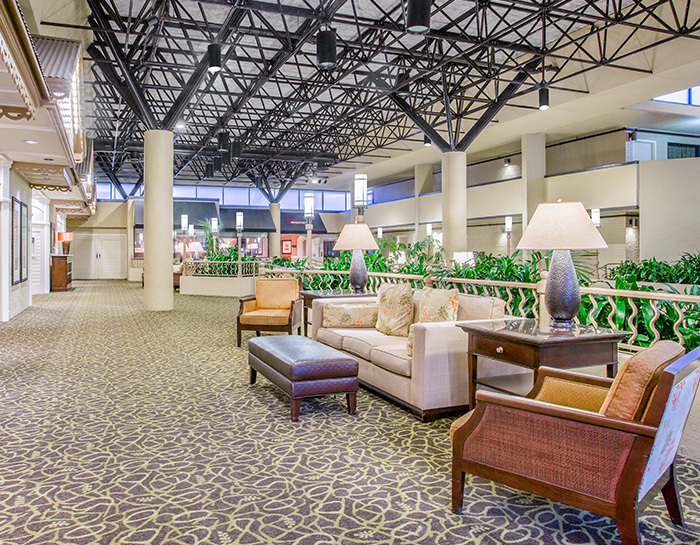 Find your work life balance at the Crowne Plaza Jacksonville Airport. We're ready for business 24/7 with the spaces you need to be productive, work smarter, and stay connected. We want you to have it all - a hotel that inspires bright ideas, energizes your body, and helps you flow between work and downtime. Just five minutes from Jacksonville International Airport, major corporations and business parks, Crowne Plaza Jacksonville Airport features 10,000 sq. feet of meeting space, a 24-hour business center, Executive Floors with a private lounge and meeting space. Work and unwind in spacious rooms with large work areas and free Wi-Fi. Rest easy with our Sleep Advantage Program, featuring plush beds, sleep amenities, Quiet Zone Floors, and guaranteed wake-up calls. Fuel up with room service anytime, grab a bite at the Savannah Bistro or check your email with a cup of coffee at Biscotti's Internet Cafe. We know what it takes for business travelers to thrive. Meetings that work, food that works, and fitness that works. When you work better, business works better. The world was not conquered after a sleepless night, which is why Crowne Plaza's Quiet Zone Floors were created. Get peaceful night's sleep knowing that no housekeeping or engineering activities will take place between 9:00 PM and 10:00 AM, Monday through Thursday. Climb into soft bedding and pillows and a body-hugging duvet. The next morning, we'll make sure your wakeup call arrives within five minutes of your requested time or your room is free.